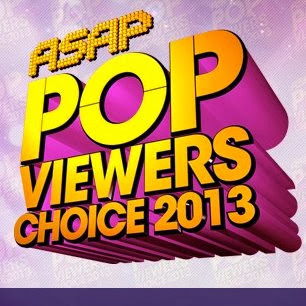 ASAP Pop Viewers Choice Awards 2013 Big Winners are Kim Chiu, Sarah Geronimo, Daniel Padilla and their respective loveteams. The long-delayed awarding or announcement of winners finally happened during ASAP 18's episode today, December 9, 2013, after it was postponed from its original date of November 17. And it looked like it was an event recognizing the country's top loveteams today, as the winners are mostly coming from 3 popular loveteams: Kim Chiu and Xian Lim (KimXi), Sarah Geronimo and John Lloyd Cruz (AshLloyd), Kathryn Bernardo and Daniel Padilla (KathNiel). Let's start with the KimXi. Kim Chiu has been named Female Fashionista once again, after she got snubbed with a nomination for this category last year. She already won this award consecutively in 2010 and 2011, and the crown went back to her this 2013. She also won Best Cameo Appearance in the music video "Discolamon" by Banda ni Kleggy and her KimXi tandem with Xian Lim won Pop Loveteam, as well as Pop Fans Club. Their teleserye "Ina, Kapatid, Anak" took home the award for Pop Soundtrack Album. Meanwhile, Sarah and John Lloyd were also big winners, with their blockbuster movie "It Takes A Man and A Woman" winning Pop Movie. The two's "kiss" in the movie's wedding scene won Pop Kiss and the theme song sung by Sarah G. as well as its music video won Pop Movie Theme Song and Pop Music Video. Another popular loveteam also didn't go home empty-handed. Kathryn Bernardo and Daniel Padilla together won Pop Kapamilya TV Character for their roles as Chichay and Joaquin in the primetime soap "Got To Believe" which also won Pop Kapamilya TV Show and Pop TV Theme Song. Daniel was even a bigger winner when he also won Pop Cover Boy, Pop Male Artist and Pop Song for his huge hit single "Nasa 'Yo Na Ang Lahat". 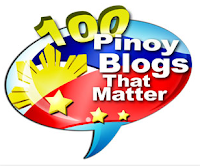 The Unkabogable Vice Ganda was awarded Pop MALE Fashionista and Pop Netizen, where he narrowly defeated Sarah. Vice got 49.16% of the votes, while Sarah was so close with 47.44%. Just like in the previous years, Sarah is actually once again the biggest winner. Other than those mentioned above, she also won Pop Female (where she got a very high percentage of 91.75%), Pop Album and Pop Cover Girl. She actually won 7 out of her 9 nominations (including those for her movie with Lloydie). Pop Celebrity Cameo - Kim Chiu in "Discolamon"